Our 'sister' site, First4Legwear, supplying high quality ladies tights and hosiery, can be accessed here. Not too long ago, waist-high legwear for men (tights, pantyhose) would have raised an eyebrow, but in recent years, following changing attitudes in regards to male fashion, there has been a massive increase in the number of male customers who are beginning to find something that women have known for years; that tights (known as pantyhose in the US, South Africa and Australia/New Zealand) are a comfortable and durable garment, with many benefits for them as well. After all, men have legs too, don't they? 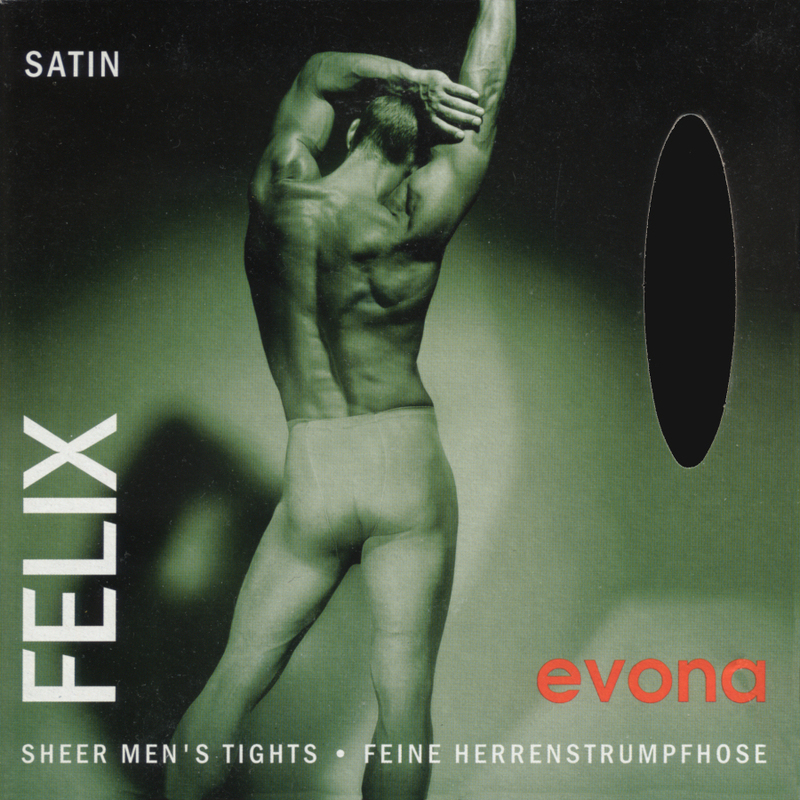 The number of manufacturers now producing tights for men has increased enormously, and now includes some of the major players in the hosiery industry. One of the more recent of which, Adrian of Poland, produces 1 million pairs per month! Some of the European hosiery manufacturers whose products we supply are actually having trouble keeping up with the demand, so great has it become ! This is a very different picture from ten years ago, when we commenced trading, when few envisaged tights for men, sometimes (incorrectly) referred to as 'mantyhose'* by the popular press, becoming as popular as they are now; and the demand is still increasing. It has now reached the point where it is tipping over the edge into the awareness of the public at large, and is no longer considered a 'niche' market. More and more guys are beginning to at least give it a try. And we at L4M have been, and plan to stay, at the forefront of this growth area. We were the first, and are still the only reseller to specialise in men's legwear and hosiery exclusively, and we also have the widest range of made-for-men hosiery products, with a number of manufacturer's products represented here. All the hosiery ranges we stock are made either exclusively for men (Adrian, Collanto, ComfiLon, Doyeah, ELA, and now our own in-house brand, Legwear4Men), or are unisex, being made in sizes which are suitable for both men and women (some Doyeah & L4M models and UFASH). This is NOT a fetish site; we are promoting waist-high legwear as serious, practical, comfortable clothing for men! We carry a range of legwear, and now bodywear and other complementary 'non-legwear' items, for every clothing situation; sheer, for wear with shorts or trousers, opaques for cooler days, or for stealthier wear with workaday clothes; support tights for guys who are on their feet (or indeed, seated!) all day, control top tights, tights with built-in 'socks', tights for sport, athletic and exercise wear; you name it, we have something to suit every requirement. For more General Information, see this page. We also now have a blog, which you can access from here. And, if you have any comments or questions regarding any aspect of men's hosiery, or indeed any of our other products, please feel free to contact us here. Legwear4Men is now part of the First4Legwear group.